What Exactly is a Co-Publishing Deal? Songtrust offers an administration deal - see the benefits compared to traditional publishing deals. When partaking in a co-publishing agreement, you typically give away 50% ownership of your publisher’s share to the publisher with which you sign (hence the name "co-publishing"). In doing so, you retain 100% of your writer’s share and 50% of your publisher’s share, therefore you will receive 75% of your total publishing royalties. Usually, these agreements are for one year at a time. Within the term, the songwriter will have certain obligations, such as submitting a minimum number of songs that are commercially satisfactory. If you have co-written any of the songs being submitted, only the percentage that you have written will count towards satisfying the minimum amount of songs agreed upon in the contract (i.e., if you write 50% of two songs, it will count as one full song towards your minimum requirement). Sometimes the agreement will also require that a number of your songs are recorded and released by an artist on a label. In a co-publishing deal, you are often giving away 100% creative control over the song itself. This means that the publishing company can seek out sync opportunities as they see fit. One of the most enticing aspects of a co-publishing deal is the advance. Publishing companies will customarily offer you a sum of $25,000-$250,000 upon signing the contract. This can be alluring for a songwriter, because it means you can quit your day job and focus all of your energy on writing. But it’s important to know that this advance must be recouped in full by the publisher before you are paid out any royalties from your compositions. Typically, the publisher will collect their 25% (50% of the publisher’s share), and set your 75% (100% writer’s share and 50% publisher’s share) against your advance until it is paid back entirely. It is only then that you will begin to be paid 75% of all future income your songs generate. 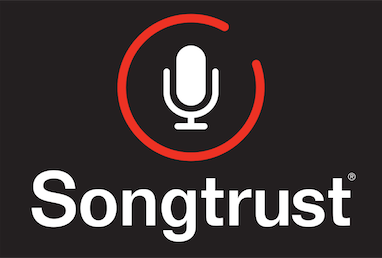 Songtrust is a publishing administrator, learn what that means here! The chart below demonstrates how royalties are usually split up in a co-pub deal.